It was a back-and-forth battle to claim the 2019 Cider Madness Challenge Champion, but after a wild 24-hour voting period ended, it was the Channel Marker Habanero-Lime edging out the upset bound 2 Towns Hollow Jack, 54-46. 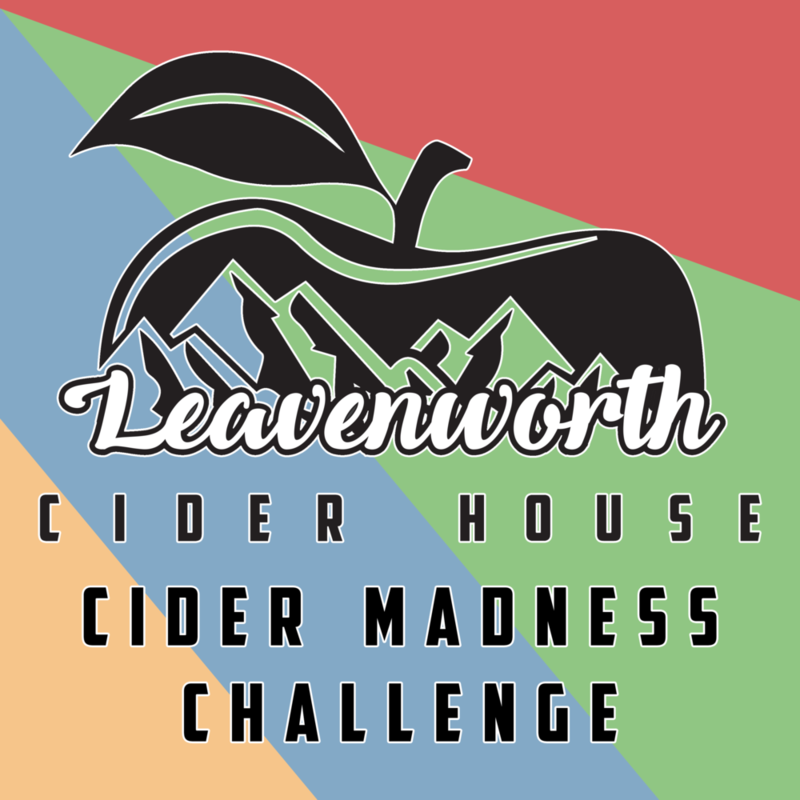 Over 400 people voted in the final round, making it the highest participated matchup of the first-year tournament, ran by the Leavenworth Cider House. The Channel Marker Habanero-Lime made its way to the championship by defeating the Schilling Chaider in the opening round, 67-33. It then continued to cruise in its Round of 32 match up with the Archibald James Dry Sider, 66-34 before beating the Elemental Blood Orange in the Sweet Sixteen, 61-39. The Elite Eight proved to be the first true challenge for the eventual champion, as it squeaked out a 54-46 victory over the Finnriver Black Currant. In a Final Four that saw all four competitors take a lead at some point, the Habanero-Lime narrowly defeated the 2 Towns Bad Apple, 52-48. On the other side of the bracket, runner-up 2 Towns Hollow Jack beat local favorite the Snowdrift Winter Red, 59-41. 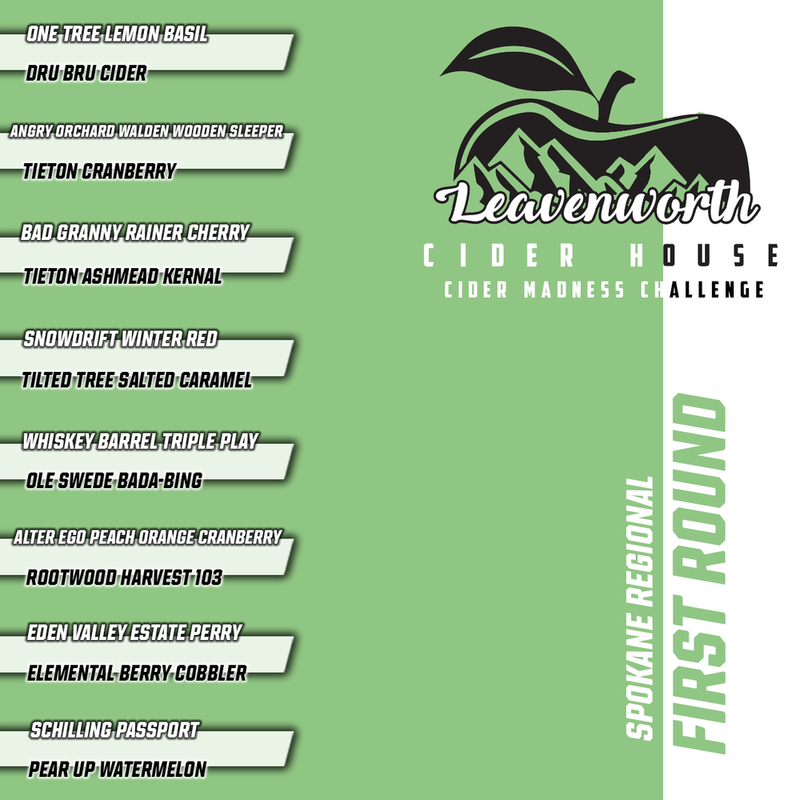 Overall, 64 competitors challenged to be named the best cider they had at the Leavenworth Cider House. 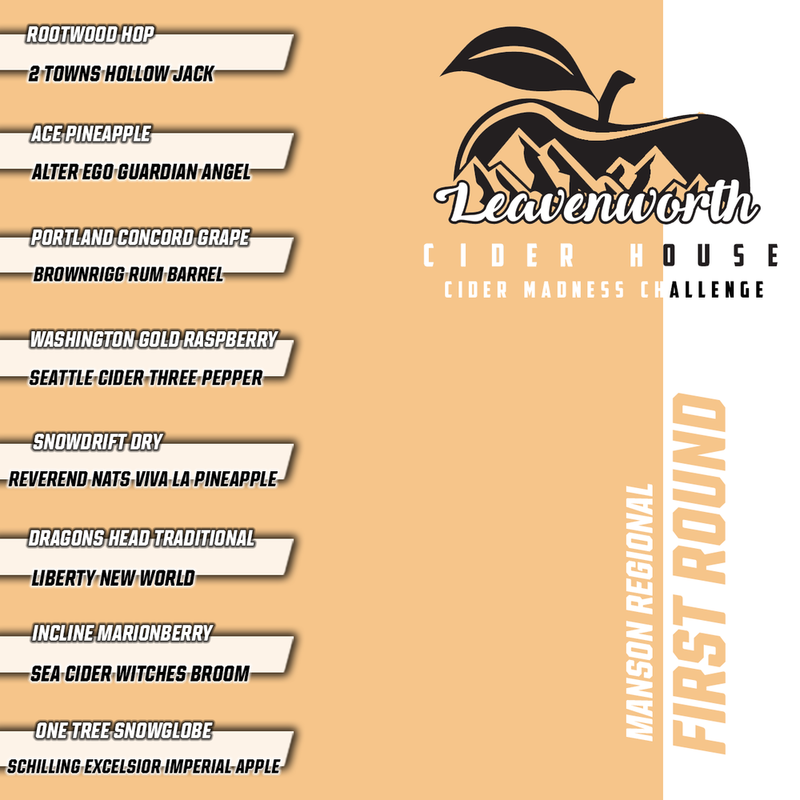 The first three rounds each saw a top seed fall with the Rootwood Hop losing in the first, the One Tree Lemon Basil in the second and the Locust Vanilla Bean in the third. Appreciation goes out to all who participated and made the first ever Cider Madness Challenge a large success.